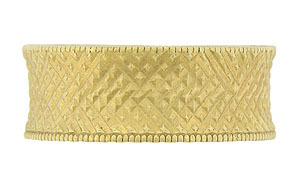 Intricate cross hatching covers the surface of this wide antique style wedding band. 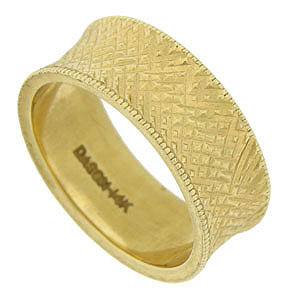 The ring is convex in shape and the edges are finished with strings of delicate milgrain decoration. 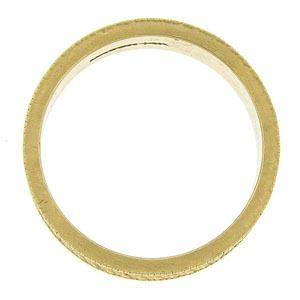 The estate ring is fashioned of 14K yellow gold and measures 7.17 mm in width. Size 6 1/2. We cannot re-size.